The Aspire CF Battery is a high-end e-cigarette power system. This battery features stainless steel endpoints, a metal button, and a carbon fiber coated tube. The Aspire CF Battery contains a revolutionary spring connector. 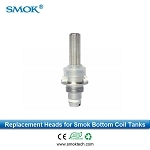 This unique technology ensures that there will always be a strong connection between the battery and e-cigarette tank. The structural design and control circuit of this battery series makes using it extremely reliable and stable. Using Turn ON/OFF Press button 5 times in succession in 2 seconds. The LED will blink 3 times (both blue and orange lights) and the button will illuminate Blue when active and ON. LED Light Indicator Blue LED light will display for battery cell voltage of 3.5-4.2V. The Orange LED indicates a voltage less than 3.5V. Special Characteristic of VV Stepless variation in 3.3V-4.8V output variable voltage. Low Battery Indication The battery Orange indicator light blinks 15 times. Charging Instructions: 1.Unscrew the battery from the vaping components. Protection function Overcharge Protection When battery is overcharged (voltage beyond 4.25V), the built-in microchip will automatically stop battery charging. Charging Short Circuit Protection If the charger is short-circuited while charging, the battery will default to OFF position, stop charging, and the LED lights (both colors) will flash 6 times. Lock and Unlock Function To lock the battery, press the button 5 times in succession in 2 seconds. The LED lights (both colors) will flash 3 times. Repeat this procedure or recharge to unlock. Caution Battery Care Always charge the battery completely before using. Do not force battery connection to other attachments. Warning Do not charge the CF battery on an unapproved charger - it may damage the battery. 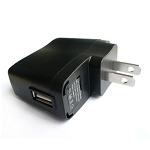 We recommend using the KGO USB charger(SOLD SEPARATELY) for safe charging . This is an excellent battery. I have two now. Lasts me all day and I like the spring connection so I don't have to worry about overtightening. Also don't have to worry about overcharging. These are nice little extras on a battery. Looks nice with the big Nautilus tank, which is the greatest tank ever!! Hoosier Ecig is the best store on the net to buy from. They've been so patient and helpful with all of my questions, their recommendations have been spot on, and prices are great. It's my only online store now! The Aspire CF VV battery is a great battery with lots of battery power. It will hold a charge longer than my Vision Spinner II 1600 mah and that is what I was looking for! Only con I wish the VV dial was a little tigeter so it would now change in my pocket other than that this is a great battery! One of the best batteries on the market, maybe the best. Lasts all day, and is pleasant to the eye. I have four of them, 2 black, 1 red, 1 blue, I use them interchangeably with my tanks Nautilus and Nautilus Mini. Excellent quality from Aspire. I've been vaping for years, and these are the best batteries I've tried yet. Switched from Vision spinners to these Aspire batteries, not disappointed. Sturdy construction, looks great, and charge lasts almost a full 24 hours. I'm so pleased with this brand & size that I probably won't use anything else. This battery lasts me appx. 3 days before I have to re-charge. The 1100mah of another brand, that I used previously, would last for a day at most. This battery coupled with an Aspire tank is the only way to go. This is a very large battery! But it works awesome and stays charged for up to 3 days! Awesome for the price! I love this battery! It has a dial in the bottom to crank up or down the voltage, making it so easy to dial up or down the strength depending on what juice I'm using. It's nice and big, easy to hold, and seems to stay charged for quite a while. I will definitely be purchasing more in the future! Excellent. I get a day and then some from this battery. This battery is great! It works very well and for over 48 hours! A: No it shouldn't harm your other batteries as long as they are rated to be charged at the same rate the output of the charger. Q: are these on close-out? Q: Can I use EGO or KGO clearomizer with this battery? A: Yes, you can use both. Q: Are your Apire CF VV batteries genuine Aspire batteries? A: Yes, they are. These are not clones. A: After doing a google search for the Vaporfi Rocket, it seems that it is just a Re-branded or cloned Kanger EMOW set. If that is the case then yes the Aspire CF VV will work with your tank, but you may also want to get a beauty ring for it as well to blend it all together. Part number: HEC056 Style - B. We also have a couple other batteries that would also be suited to your tank and already come with a beauty ring attached, The Innokin itaste CLK 1280 part number: HEC361 and the Roto KGO batteries: Part numbers: HEC440 (1100mAh) and HEC441 (1600mAh). Q: Will this fit a Kangertech aerotank2? Q: will aspire bvc clearomizer replacement coil work with this battery? A: Yes, but you would need one of the compatible BVC/BDC series tanks to put the coil in. 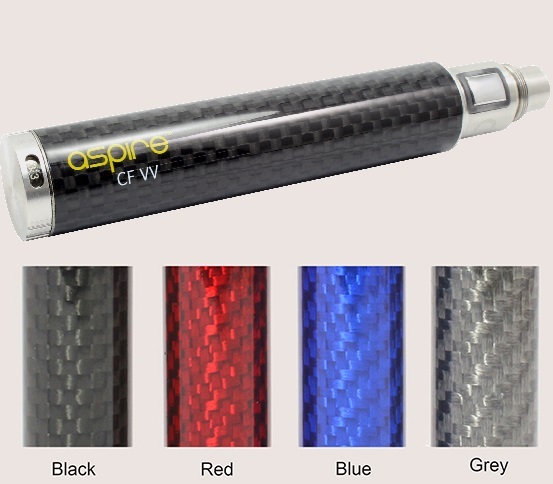 Q: Will you be getting any other colors of aspire CF VV 1600mah battery in soon? A: We are not going to buy anymore of these batteries. They are very good batteries, probably the highest quality EGO style batteries that we've seen. They have never been a strong seller due to high price, but the price is based off of the higher cost. Q: Won't let me put in my info.i want to be contacted for purchase? A: We are currently out of stock.